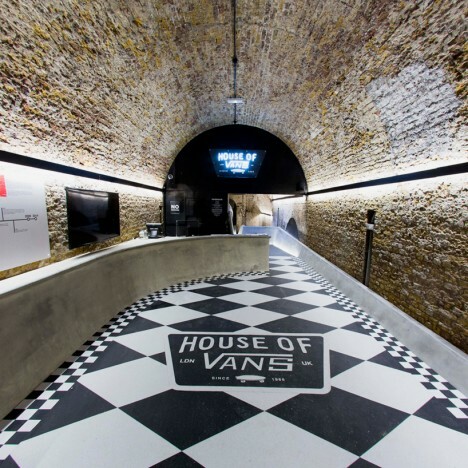 The infamous Old Vic Tunnels under London’s Waterloo Station are now home to the city’s first subterranean skate park with the opening of House of Vans, a cultural complex taking up the entire 32,000-square-foot space. 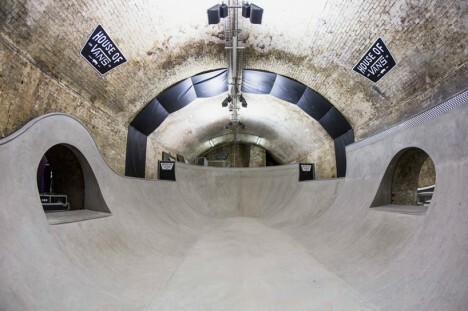 In addition to the pool-style bowl, street section and mini-ramp for skaters, the space will offer a music venue, cafe, bar, cinema, artist studios and gallery space. 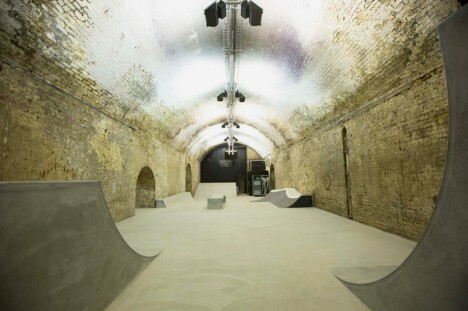 The four massive tunnels were the subject of a bidding war once the Old Vic Theather vacated the underground space, with Vans reportedly beating out Apple and Nike. 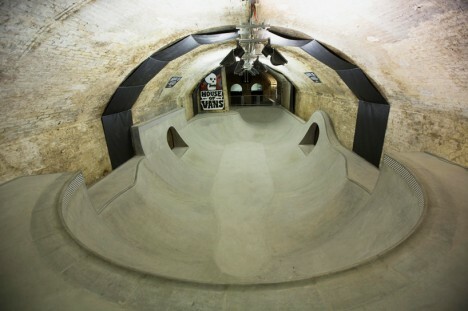 The skate park is a fitting usage for it, located adjacent to London’s largest legal graffiti wall and another skate park on the Thames River. 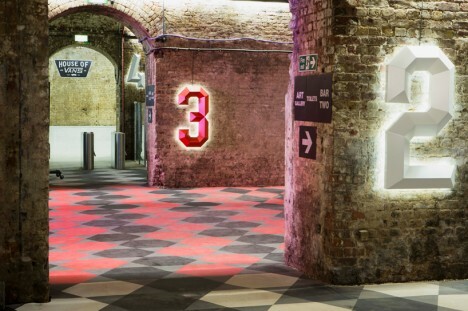 The smooth new concrete surfaces and black-and-white checkered floors contrast with the centuries-old weathered brick surfaces of the original tunnels, which are still under control of England’s Department of Transport. 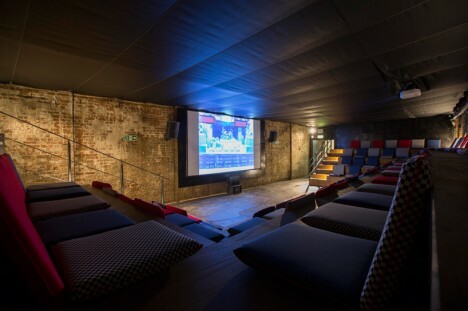 Before it was taken over by Old Vic, the disused tunnel played host to the premiere of Banksy’s movie Exit Through the Gift Shop. 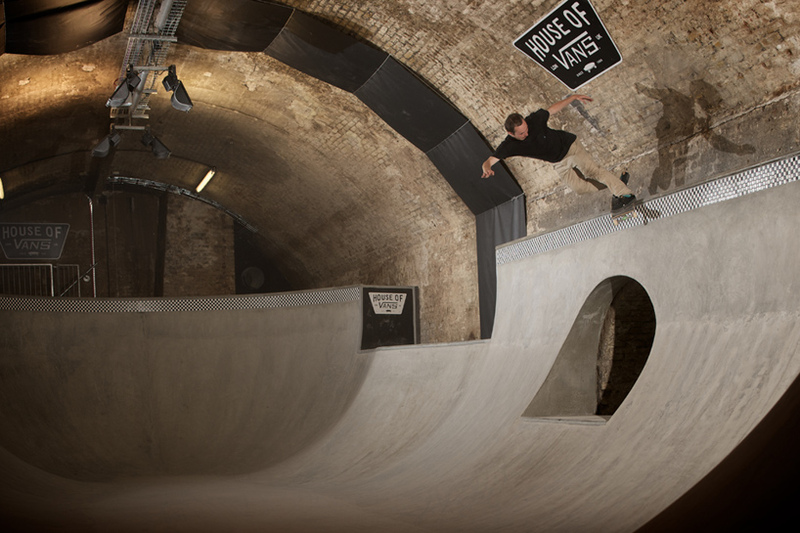 Skate sessions are free, but must be reserved in advance, with time slots getting snapped up as much as a month ahead of time. Artists selected to utilize the studios for free get the opportunity to display their work in the gallery space at the end of their tenancy.